JD Magazine is a lightweight fast loading Newspaper and Magazine Joomla Template. This template is compatible with EasyBlog and Joomla Articles. It is crafted with Drag & Drop Page builder which makes it easy to customize. Packed with numerous features, it is a very user-friendly and highly responsive Magazine Joomla template. The template is designed with clean and lightweight code which makes it incredibly fast. 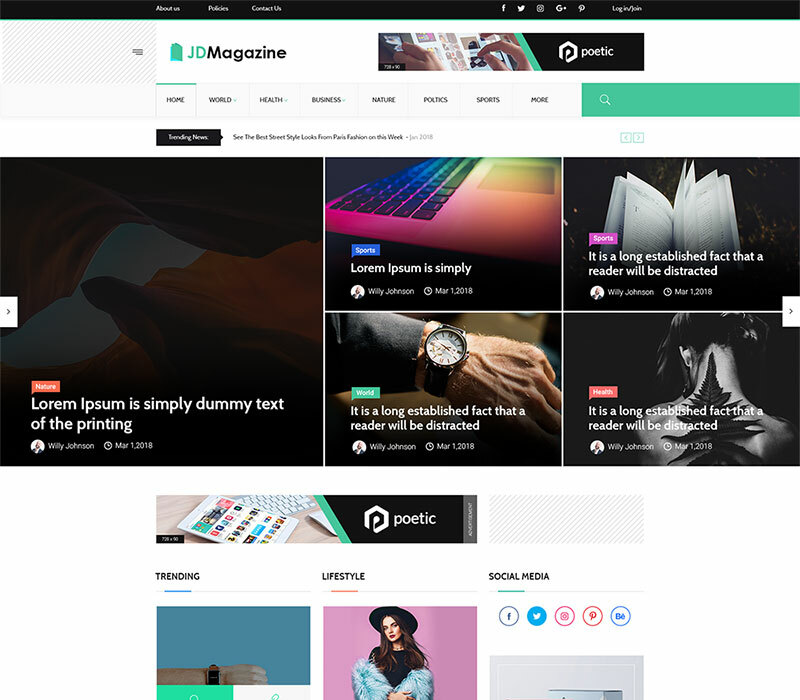 So if you are planning to set up an online store or want to redesign your existing online magazine, JD Magazine Joomla Template is the perfect choice. JD Magazine comes with a clean and Modern design which is capable to increase your CTR and readership on your blog. JD Magazine Template comes with page builder integration which makes it easy to edit and customize theme layouts. This Joomla Newspaper template has a lot of attractive sections which can help you to set up an attractive page layout. JD Magazine has a powerful admin panel from where you can control all the settings of your Joomla! Magazine website.